½ yellow onion, diced – optional – lately I have been leaving this out and they are still just as good. Keep the recipes coming…Trust your tastebuds absolutely!! Aaaaaah thank you Lani! That is so sweet of you to say! 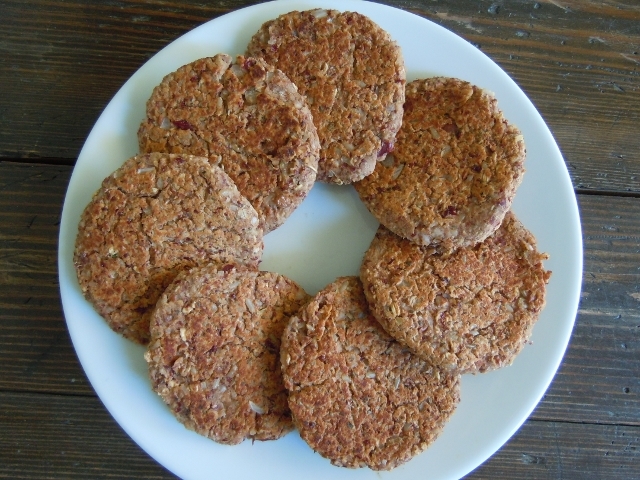 This Mexicano veggie burger looks great – I will be trying this recipe soon. I make lentil burgers and black bean burgers regularly, so this will be a nice switch. I think I will substitute quinoa for the brown rice. Do you think that would work as a substitute? I haven’t tried it so I really don’t know – but give it a try! Experiments are how discover new treasures! Are these the veggie burgers that you make in large batches and freeze. Do you cook these before your freeze them? thank you for the cooking demo/batch cooking class. I enjoyed it and am working to incorporate your ideas. I am so glad you enjoyed the class and are incorporating the ideas. That makes me so happy! This is one of the veggie burgers I make. I actually like this one better http://nutmegnotebook.com/2013/03/vegetarian-chili-burgers-2/. You can double it and freeze them. So good!